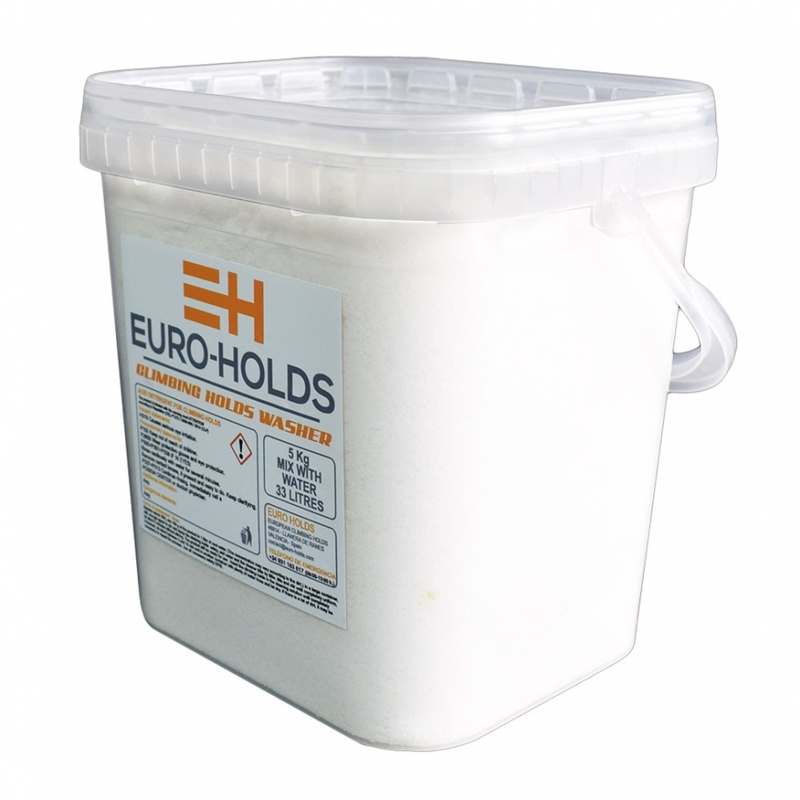 solid crystals, giving greater ease of handling, transport and storage than traditional acidic liquids. Clean your holds easily with our new grip washer. Volume: 33 Liters to 1:15 concentration. Prepare a solution of approximately 15%, ie mix 150 g of the product in 1 liter of water. (This concentration can be varied slightly depending on the degree of dirt of the dams). In a large bowl, with enough room to stir and damp the prey safely. Weigh the water and add the cleanser carefully and gradually, after mixing and stirring sufficiently for a complete uniformity, let stand 5 minutes without stirring. The product will be ready for use. Insert the dams into the cleaning solution until completely immersed, let stand 5 and 15 minutes and in another container rinse with plenty of water and allow to dry, it may be the case that a large accumulation of dirt has to be repeated to obtain a Optimal result. Wear gloves and safety goggles during handling. If swallowed, do not induce vomiting. Consult a physician immediately and show the label or container. Store in a cool, ventilated place, protected from the sun. Keep the container covered and with its original labels.